Fall is an ideal time to get outside and take some pictures. With the cooler weather and the beauty of the changing season here in Columbia, SC, the opportunity for amazing pictures is too good to pass up!  The Peachtree Place Blog is here to help you in your quest by highlighting a few of the best spots around the city to take pictures. With 70 acres of beautiful gardens, you are sure to find several great spots to take pictures. Whether you are taking pictures of the gardens themselves or looking for a beautiful spot to take family photos, this is a great choice that will not disappoint. At the center of the university is a beautifully landscaped garden area surrounded by trees and historical red brick buildings known as the horseshoe. Not only will you be able to capture lovely photos here, but you will also enjoy the rich history of the spot which dates as far back as 1805. The landscaped gardens surrounding the State House are another popular spot to take photos. The rich history of the area will only add to the beauty of your photos. There are also several impressive statues located on the grounds that are worth stopping and appreciating as you meander the gardens. This beautiful park in downtown Columbia is the perfect place to take family photos. Babbling brooks, roaring waterfalls, rocky paths, and the fountain provide the perfect photo backdrop. There is also a large playground, so kids can run and play while you to snap some great candid shots. This is also a great spot to score a priceless picture with the skyline of downtown Columbia in the background. Where is your favorite place around the city to take photos? Share your insights with the rest of our apartment community in the comments. Best of luck in your photography efforts!